ZURB is a product design agency that helps companies design web and mobile apps, websites, and integrated services. ZURB is a product design agency that helps companies design digital products and provide strategic marketing and branding solutions. ZURB’s clients include Facebook, Yahoo!, Trapit, Zazzle, Netflix, Salesforce, Reuters, and McAfee. 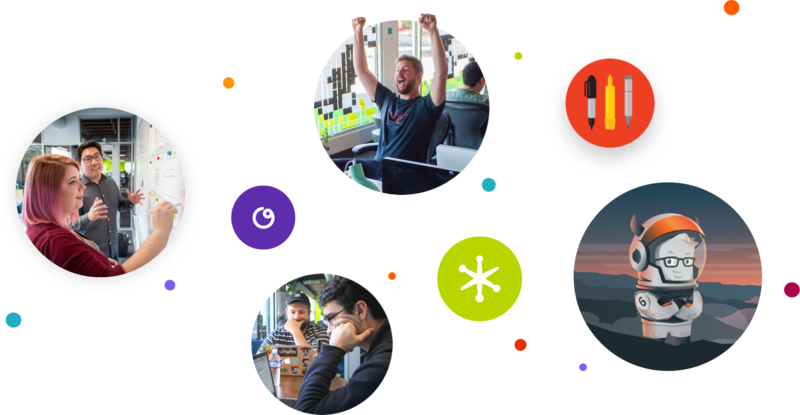 In late 2016, ZURB announced their new mission: Change the way people design connected products and services. 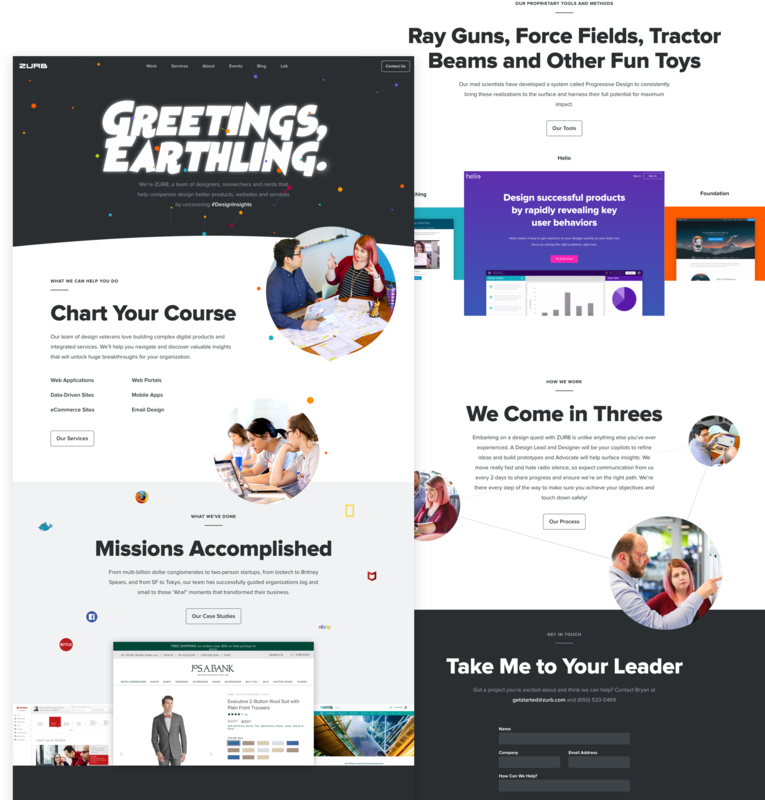 ZURB does this in many different ways — through the products they help companies design, the tools and training they provide, and the thinking they put out in the world through their blog and presentations. 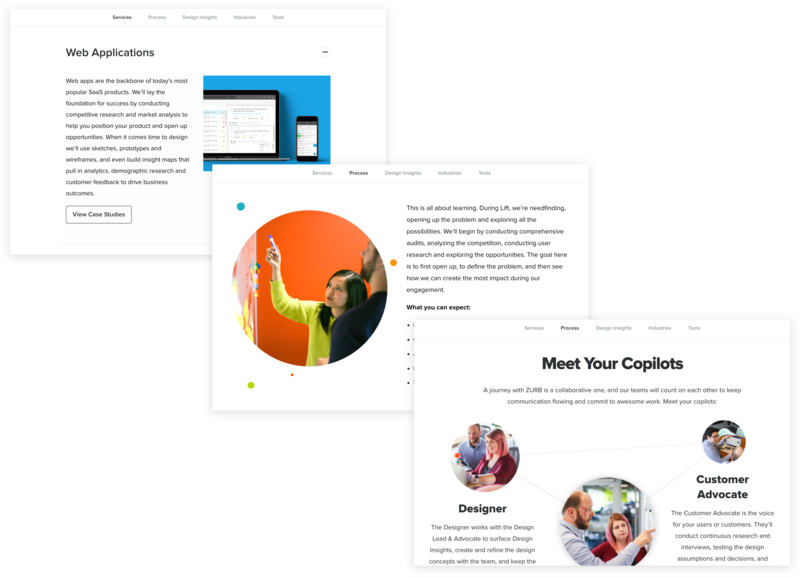 With this new mission in mind, I helped ZURB redesign their marketing site to make sure the channels are aligned to promote their design thinking, services, and work. The new bold, sophisticated, yet playful visual language captures ZURB's brand as a quirky and unique design company. 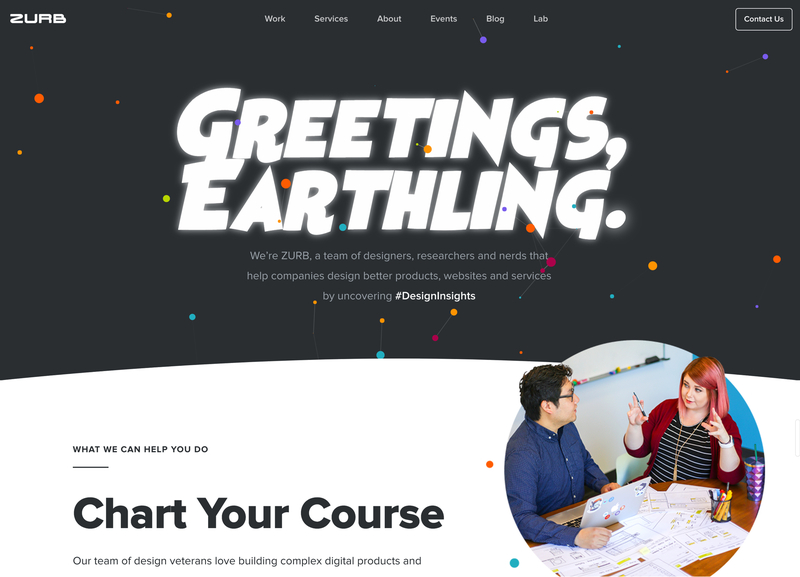 The animation of colorful dots connecting and reconnecting reflects ZURB’s influence and ability to connect people and ideas through design. 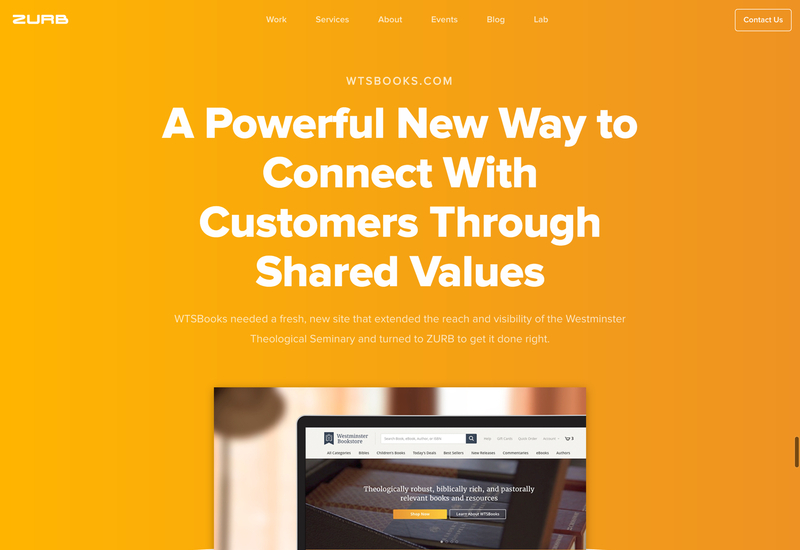 Reorganized and showcased front and center on the home page, the services and client work became the entry points to generating interest and capturing qualified leads for future engagements. Connecting the services to the work was key to helping potential clients understand not only the available services, but also the case studies and real world examples on how those services are applied to build businesses. 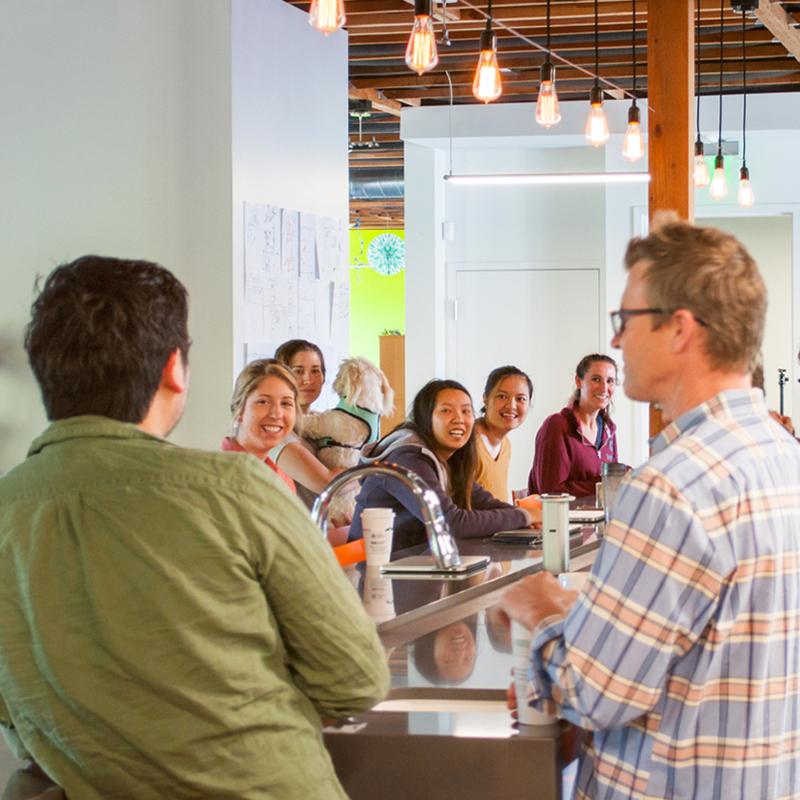 ZURB’s mantra has always been “Design for People,” and people have always been at the center of everything ZURB does. For the new ZURB.com, I wanted to put special focus on the people behind ZURB and highlight the wonderful team and their unique culture. The new site is loaded with colorful images of our team, life at ZURB HQ, and a few magical candid moments. 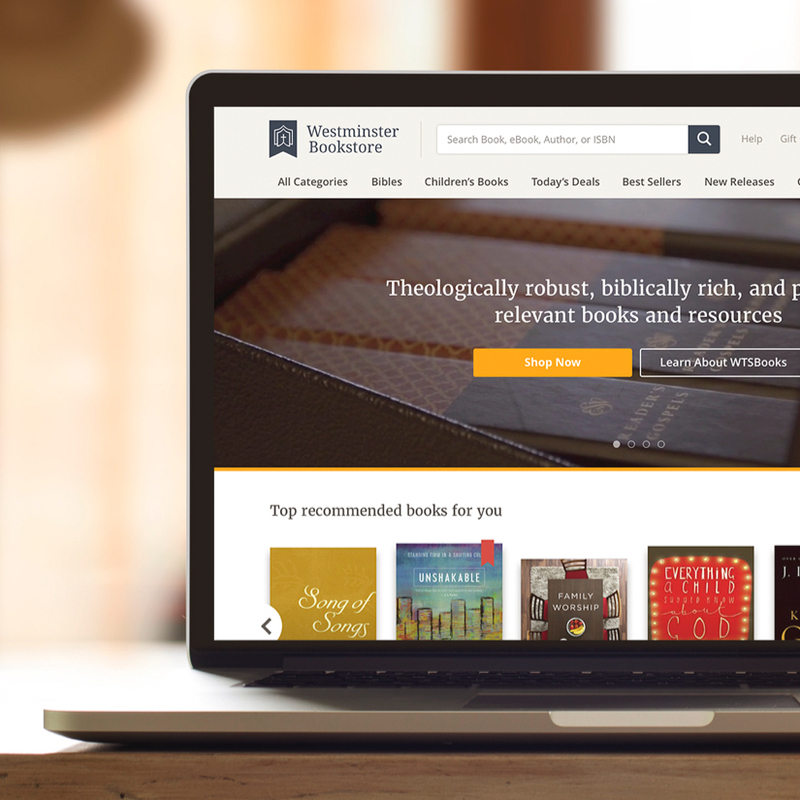 With this new website, ZURB is thrilled to carry out a new phase of their mission. They look forward to engage with organizations to work on challenging design problems, surface insights, and use them to create amazing products and services.